Featuring the work of Katherine Bernhardt, Hugh Scott Douglas, Jeff Elrod, Daniel Lefcourt, Eddie Peake, Avery Singer, Josh Smith and Brad Troemel. The artists in the exhibition unfix historic notions of what a painting should be. Their works are hybrids of old and new, familiar and surprising media and processes. Through this mix the artists find new ways to make, think about and view painting. 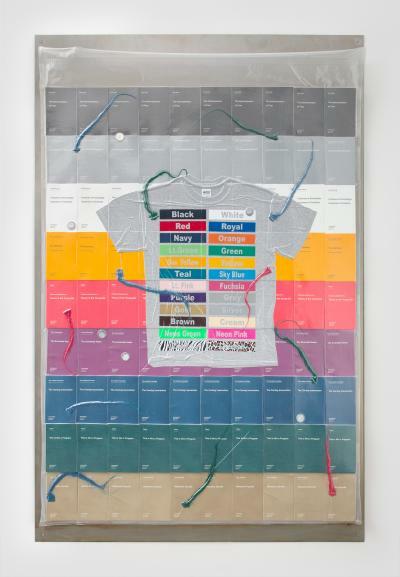 The results range from abstractions derived from street and popular culture to computer-generated algorithms printed on canvas. Somehow, they are paintings while also beyond painting. This exhibition was made possible by generous loans and support of the Ovitz Family Collection, Los Angeles. Additional support from the Helme Prinzen Endowment.